Reservoirs in the United Kingdom play an important role in water conservation and some are also popular spots for recreation in the country. Swans on Rutland Water at dusk. Reservoirs in the United Kingdom play an important role in water conservation, and some are also popular sports for recreation. A reservoir is a man-made lake or waterbody built to store water. The construction of reservoirs can be carried out by creating dams across rivers or diverting water flowing out of a lake. The number of reservoirs built in the UK surged during the 19th century, and there are approximately 570 of them in the country today. Which Are The Largest Reservoirs In The United Kingdom? The Rutland Reservoir, located in England, is the biggest reservoir in the country. It has an area of 4.86 square miles and a water volume of 124 million cubic meters. Also in England is the second largest reservoir, the Kielder Water, with an area of 4.25 square miles. It holds 200 billion liters of water to take the crown as the largest reservoir in water capacity. Lake Vyrnwy reservoir, located in Wales, has an area of 3.18 square miles and it can hold 59.7 gigalitres of water when it is full. England has the bulk of the largest reservoirs in the nation, and they include Pitsford Water (2.85 mi2); Grafham Water (2.85 mi2); Chew Valley Lake (1.88 mi2); Haweswater (1.50 mi2). Carron Valley Reservoir, located in Scotland, has an area of 1.51 mi2. By the turn of the 19th century, the UK was experiencing a growth in urban areas corresponding with the increase in population, and there was a need to increase water supply. The cropping up of industries also meant more water supplies were necessary to drive plant activities. Reservoirs also had the potential to satiate the electricity needs of households and industries. The reservoirs built before then had been relatively small and were used for small-scale crop irrigation, domestic water supply, and canal operation. The pursuit for increased food production demanded large-scale irrigation which necessitated the construction of high capacity reservoirs. Reservoirs enable the conservation of water in the UK. The conserved water is supplied to households and plants especially during the summer season when little rainfall is recorded. Reservoirs also facilitate the generation of hydro-electric power which is clean and renewable. One of the factors which necessitated the construction of reservoirs in the UK was farmland irrigation. The reservoirs facilitate large-scale irrigation and in turn support rural communities all over the UK. The human-made features are also significant in flood protection as well as recreation and navigation. Reservoirs in the UK are recreational hotspots, and they support a range of activities from sailing, biking, sightseeing, birdwatching, walking, to fishing. The reservoirs are also used to educate local communities on water conservation. Natural reserves have been created on some of the reservoirs to protect populations of birds, fish, and other animals. 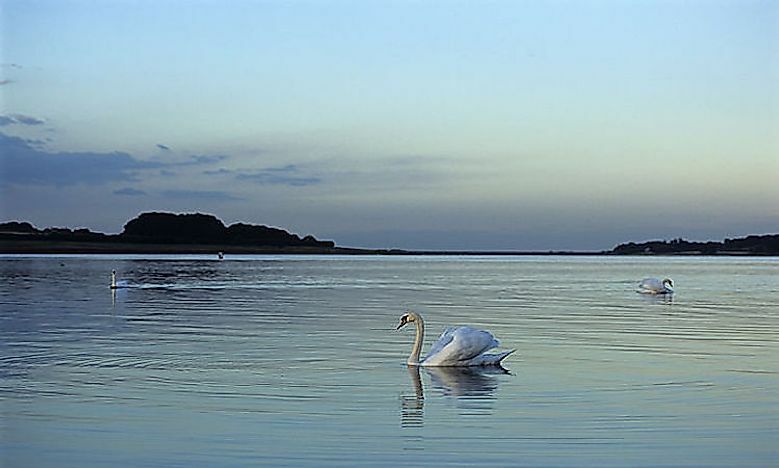 An example is the Rutland Water Nature Reserve, recognized for the presence of bird species such as waterfowl, teal, osprey, coot, cormorant, and lapwing. Common fish species in the reservoirs include perch, eel, trout, carp, and Roach.